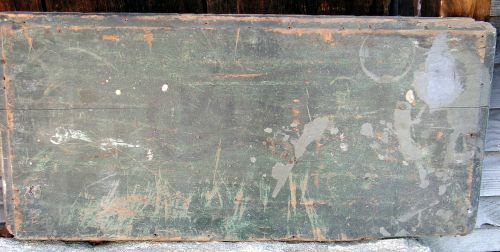 Blue /Green painted blanket chest lid with the name J.S.Morgan 1851 . Black lettering outlined with salmon accents. Dimensions: Measures 18 1/2" X 39"